There is no doubt that Rugby World Cup 2019™ will be an exciting time to be in Japan. Join us at one of the below locations to immerse yourselves in both rugby & the Japanese culture. 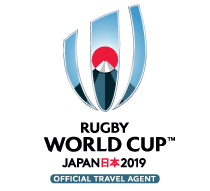 Hear from our staff, We Love Rugby ambassadors and Japanese specialists with their experiences and what We Love Rugby has to offer to make your time in Japan for the Rugby World Cup 2019™ a memorable one. Timings and specific venues will be announced closer to the time. Register your interest below & we look forward to meeting you.